In Fulpmes in Tyrol's Stubaital can skiers, snowboarders and freestylers get their money´s worth. Winter sports fans are convinced by beautiful slopes, the spectacular backcountry and fun and action on each level in the terrain park. Your first point of contact for anything related to the topic of ski rental is INTERSPORT Rent in Fulpmes. 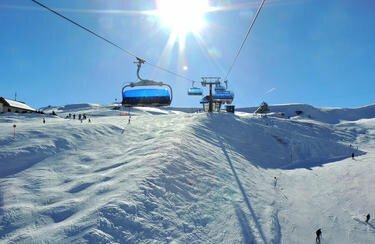 The Schlick 2000 covers 1000 to 2240 meters of altitude and offers skiers and snowboarders 25 well-groomed slopes with excellent snow conditions. 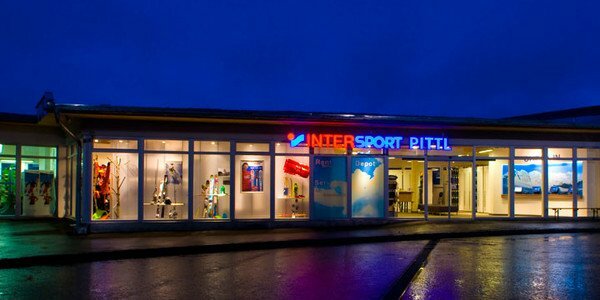 Get the proper equipment for your holiday at the family-friendly Fulpmes on-site at INTERSPORT Rent and head off to the slopes - including the longest downhill run in the Stubaital. *) If both parents rent skis or snowboards, their children up to 10 years obtain the ski equipment (skis, boots, poles and helmets) for free for the same period of time. Need more information about ski rental and ski service in Fulpmes? The professionally trained staff at INTERSPORT Rent is happy to advise and assist you.